A tasty celebration for cupcake lovers to benefit non-profits by baking cupcake recipes. Cupcake Camp LA is back! Hello Cupcake Fans! Cupcake Camp is an international series of events created by and for people who love cupcakes. The idea behind Cupcake Camp LA is to bring local cupcake fans with LA’s best professional & amateur bakers for an afternoon of cupcake tastings, great conversation and family fun. 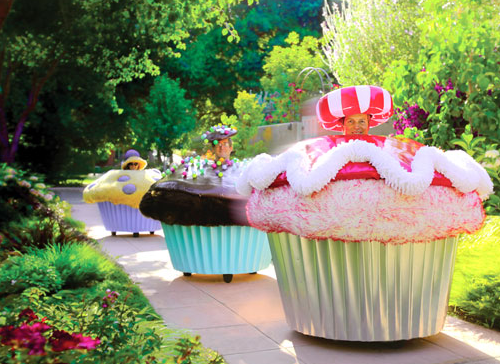 Launched in 2010, Cupcake Camp LA is the biggest cupcake event in Southern California. Don’t miss our next event! What is Cupcake Camp LA? It’s a tasty celebration for cupcake lovers to benefit non-profits by baking cupcake recipes. The global “Cupcake Camp” phenomenon is heading back to LA for a uniquely delicious charity fundraiser with a style befitting the showbiz capital of the world. If you’d like to have your non-profit work with Cupcake Camp LA, please email us at events@bakespace.com. If you’d like to bake cupcakes at our event - Sign up! Check out the commercial and amateur bakers who baked at our last event. Proceeds from Cupcake Camp L.A. will benefit non-profits. Those non-profits will be announced soon. If you’d like to have your non-profit work with Cupcake Camp LA, please email us at events@bakespace.com. Looking for cupcake recipes? Or want to make your own cookbook? For general information, volunteering or sponsorship email us at us at events@bakespace.com.